Mar. 15, 2019—The inaugural SCRIPS symposium — Supporting Careers in Research for Interventional Physicians and Surgeons — will be held from 1-4 p.m. March 21 in 202 Light Hall. Mar.  14, 2019—Vagus nerve stimulation could be beneficial for treating Alzheimer’s disease and other forms of cognitive impairment, Vanderbilt research findings suggest. Mar. 14, 2019—A precise understanding of how the enzyme topoisomerase II cuts DNA could lead to better anti-cancer therapies. Mar. 14, 2019—New comprehensive functional MRI measurements point to the need to update models for assessing brain white matter activity and physiology. Mar. 14, 2019—Using gene transfer technologies to reprogram adult human kidney cells could lead to novel therapies for chronic kidney disease. Mar. 14, 2019—There were inspirational songs from the United Voices of Vanderbilt Choir, a rollicking rock band, a roll call of achievements and heartfelt stories shared by grateful patients and their families during Celebrate the Difference WE Make Every Day! 2019, an appreciation event to honor all Vanderbilt University Medical Center employees. Mar. 14, 2019—On July 6, 2017, the Krauter family of Hiawatha, Kansas, received a belated 4th birthday present for their younger daughter, Mady — a diagnosis for a host of worsening neurological symptoms that they first noticed when she was 3 months old. Mar. 14, 2019—Heather Dunn, MBA, Associate Vice President of Revenue Cycle Services for Vanderbilt Health, has been promoted to the role of Vice President of Revenue Cycle Services. Mar. 14, 2019—With the aid of $2.5 million in funding from the National Institutes of Health (NIH), Vanderbilt researchers are on a quest to develop early biomarkers of treatment outcomes for patients with temporal lobe epilepsy based on their individual brain networks. Mar. 14, 2019—Ninety-eight percent of Vanderbilt University Medical Center employees have received a flu vaccine in each of the past three years, according to data collected by the Vanderbilt Occupational Health Clinic, which oversees the employee flu vaccine program. Mar. 14, 2019—Vanderbilt LifeFlight is known for transporting critically injured patients to Vanderbilt University Medical Center while providing emergency care with little to no medical information about its patients. Mar. 14, 2019—Molly Adele Brown, accompanied on guitar by Tim Angsten, sang at the Second Annual Southern LGBTQ Health Symposium to engage providers, students and community members throughout the region on ways to better serve sexual and gender minority patients and families.